Two Visionaries walked the land just two decades ago and created a must-have row of Villas. The grand dames still showcase a design that will never go out of style. Welcome to one of those dames, Villa 212, a majestic beachy get-a-way that blends pieces and ideas from the past with inspirations of today. Open & Airy. Comfortable & Practical. Casita 28 is within walking distance to some of the best sport fishing in the world, surfing, stand-up-paddling, snorkeling, diving, wind surfing and hiking. Sure to offer endless opportunities to every member of the family. 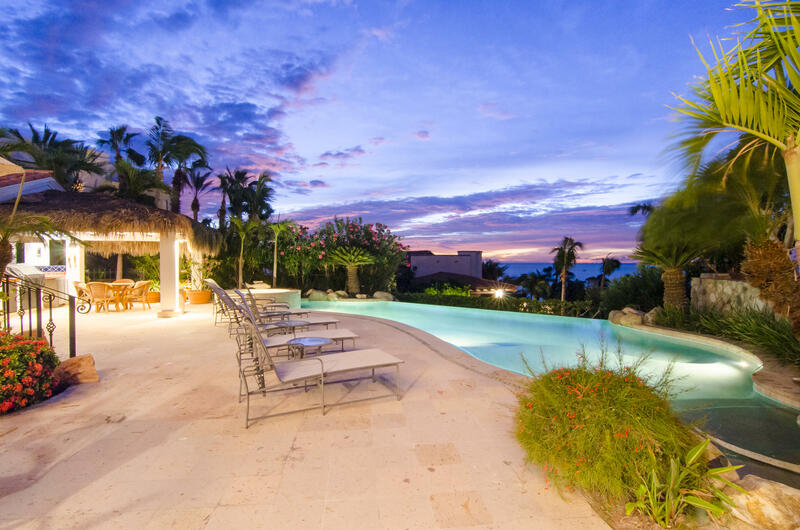 This elegant 4-bedroom gem offers beautiful views of the sea, mountains, golf and twinkling town lights in the evening. The gourmet kitchen comes complete with stainless steel refrigerator and freezer, oven, gas cook top, microwave and wine refrigerator. The back yard is an entertainer's paradise with a heated pool, hot tub and BBQ. 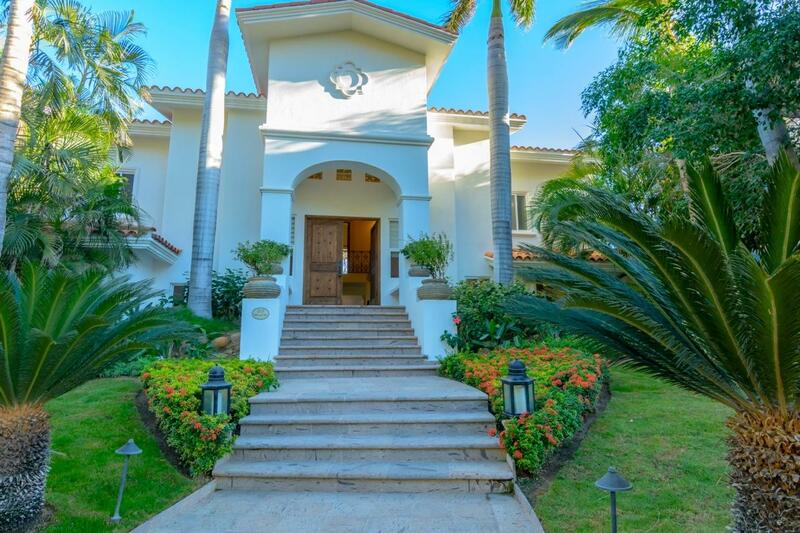 Located on one of the most sought after beach locations in all of Los Cabos, we offer you Casa de Gracia. It all began in this First Phase of Villas Del Mar, so many years ago. The setting will captivate you and draw you in. As the bright blue water, warm sun and salt air breezes waft across your skin, you close your eyes and feel it. Happy hues and durable textures pave the way for family life, all the while striving for comfort throughout without compromising on style. Each room emanates a tranquil environment with soothing shades of blue, punctuated with streaks of jewel tones, as they roll through the home into the sweeping horizon. The inside outside living maximizes both space and style. 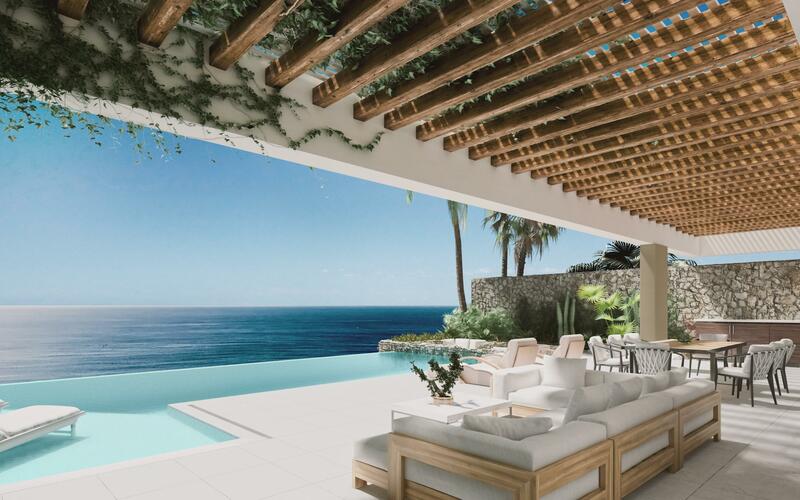 A stunning modern retreat nestled along the hillside in Villas Del Mar, Casita 6 features stylish, contemporary design and magnificent 180-degree views of the Sea of Cortez. 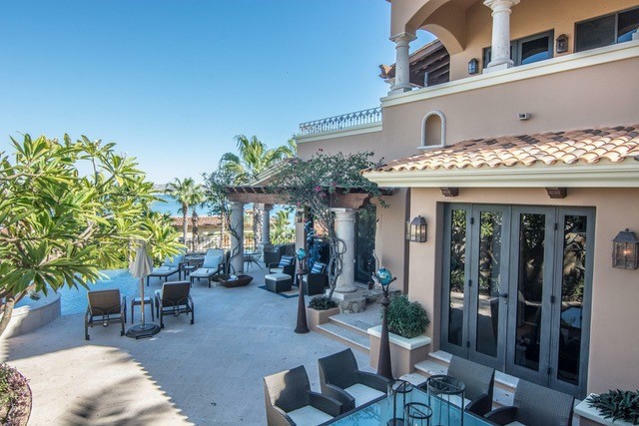 Recently enhanced to blend the renowned Del Mar Casita architecture with clean, modern design, the home features beautiful custom furnishings and light colors throughout. Stepping into Casita 26 is like hearing a soothing melody for the first time.This well appointed three bedroom three bath home (with a library conversion) showcases a stylistic harmony that ribbons a path through every aspect of it's fully furninshed designer interior. 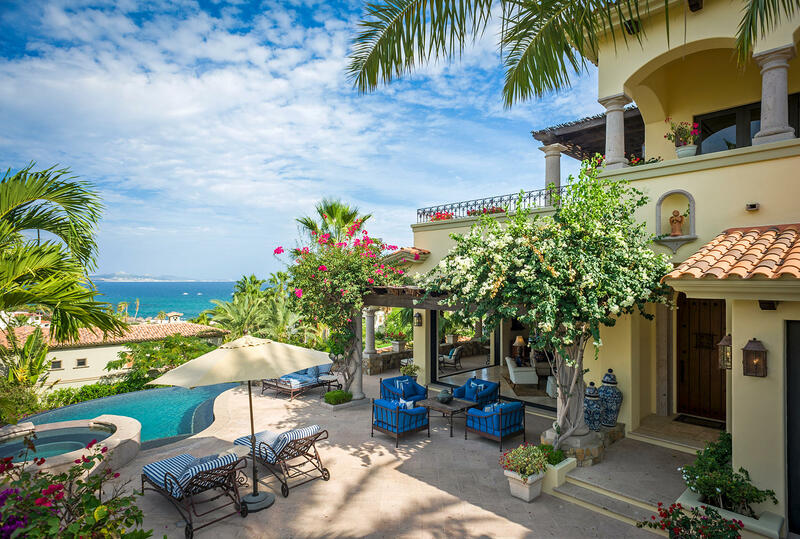 Casa Blanca is located in the prestigious neighborhood of Caleta, inside Palmilla - perhaps the most desired community in Los Cabos. 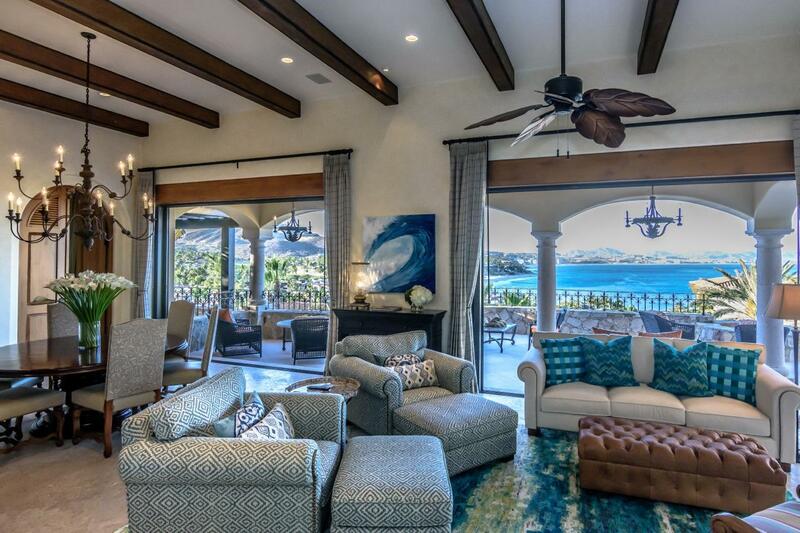 Wide open, airy spaces with spectacular views of the Sea of Cortez make this the perfect home for entertaining. Or to simply enjoy an evening at home, soaking in the view. 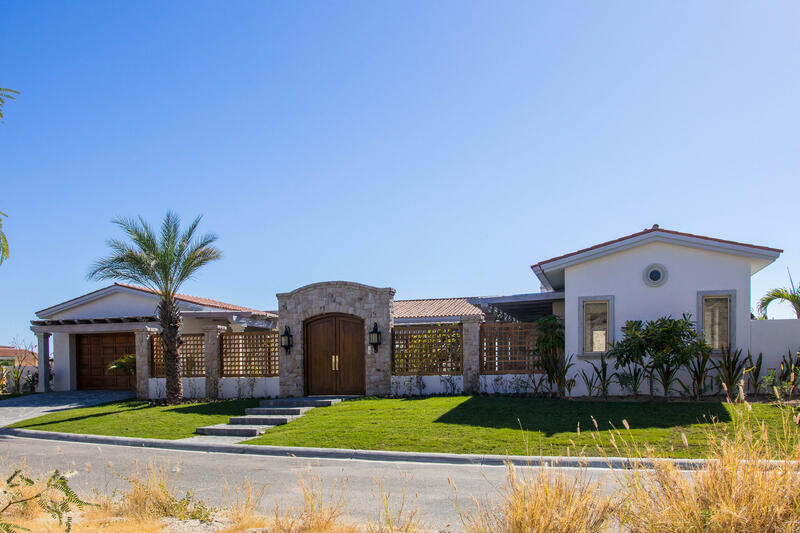 This new single level was completed November 2017 and is located in the privately gated community of Caleta Loma. 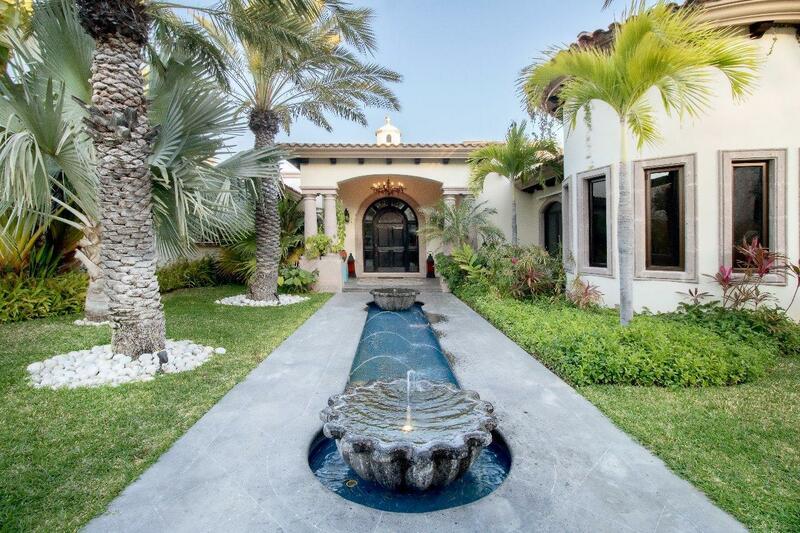 Coastal Contemporary design with top of the line finishes (see supplement for a complete list), this home offers the perfect fusion of modernism with a particular touch of Mexican Hacienda. 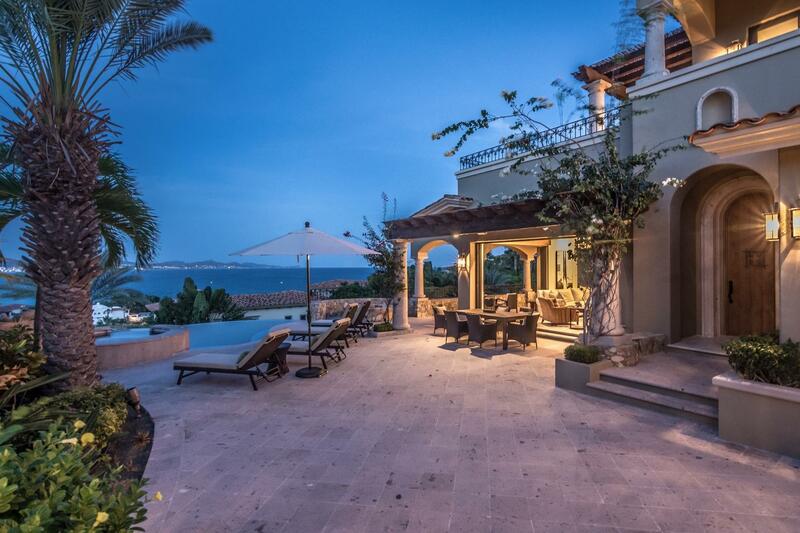 Casa de Laberinto (Labyrinth) is an exceptional Palmilla property located in Caleta. 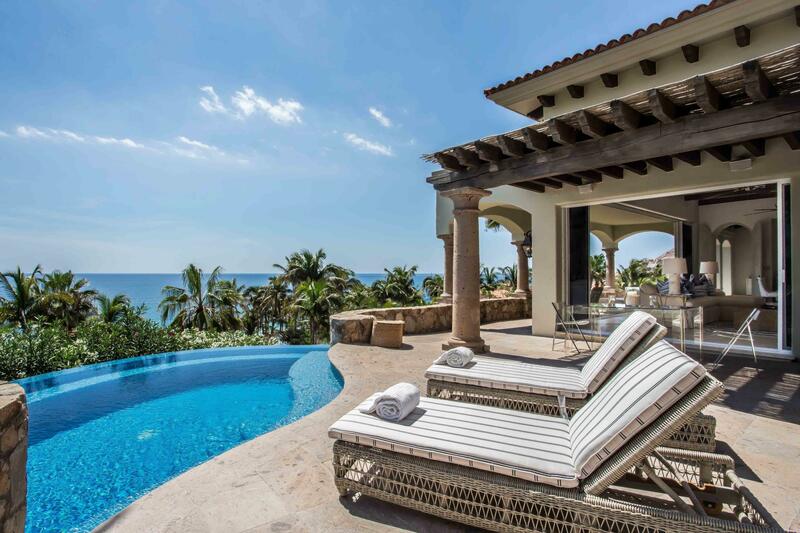 This split level home is built in a true Hacienda style, with fabulous ocean views overlooking Palmilla Point and Bay. The entry features a large motor lobby with an intricate stone labyrinth design, two-car garage, with covered, two-car parking space and golf cart parking.